We’ve all carried our manilla folder with utility bills and social security card when opening checking accounts or applying for new credit cards; but now a similar process is being required just to buy a flavored pod that is used with many popular vaporizers. Juul, a dominant maker of the nicotine included vaporizers or “vapes” seem to be the target that the government wants to regulate. In September of 2018, the US Food and Drug Administration (FDA) gave Juul 60 days to introduce new initiatives to fight teen use of their product. Juul pods come in mango, cucumber, fruit, and creme, in addition to mint, menthol, Virginia tobacco, and classic tobacco. The FDA won’t allow gas stations and convenience stores to sell the more “teen-friendly” flavors: mango, cucumber, fruit, and creme. Vape shops and other “specialty retailers” will still be able to sell all the flavors, according to Reuters. This comes with stricter verification requirements online, as well as in-store verification that is limited to certain flavors. 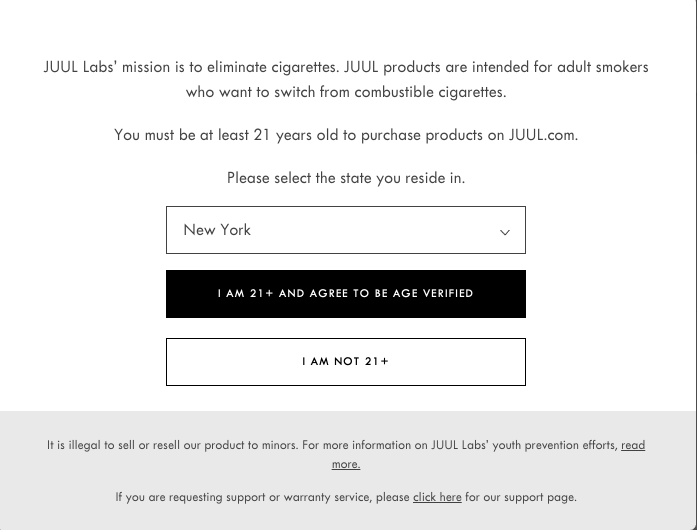 Juul claims that their product is a way to help adult smokers quit; and reiterates that if you have never smoked then you should never start Juuling. But the FDA doesn’t seem happy with just the marketing words alone. A University of Michigan survey even found that 1 in 4 high school seniors said they vaped in 2017. It is important to note; about 83 percent of Juul sales come from pod refills, and 17 percent comes from the kits that include pods and the vaporizer, according to the note. The good news for many that enjoy the flavored pods and are over the “approved” age set forth by the FDA, they will be allowed again but with some caveats. 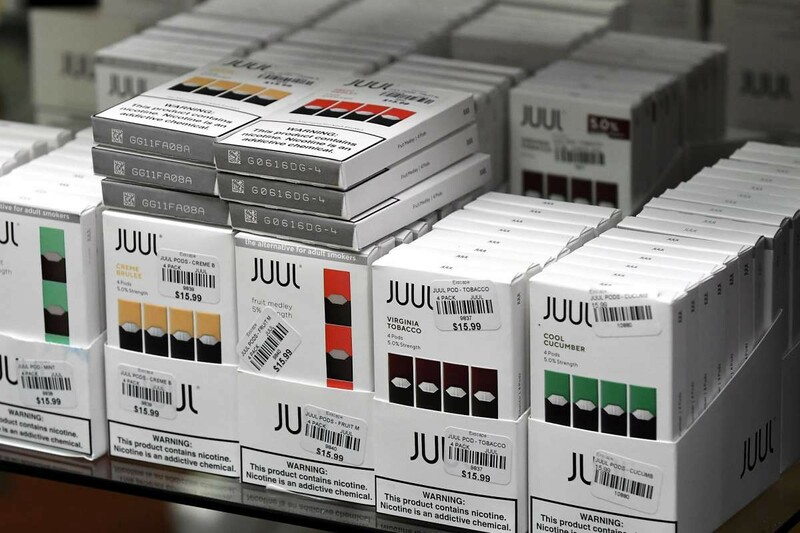 Juul said it will “restart” selling mango, creme and cucumber flavors at retail stores if the stores meet certain criteria for ensuring that people buying the products are 21 and over. To do so, the stores must use point-of-sale technology that designates flavored Juul products as restricted, and store clerks must electronically scan IDs and visually verify customers’ ID. 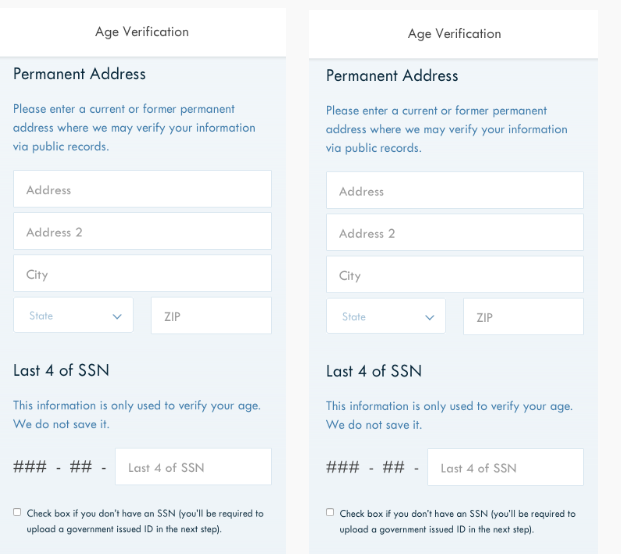 Screenshot of Juul’s age verification page. Does it always have to cost customers more? While government and regulators aim to “protect others,” it always seem to bring extra cost to the customer. With adding technology terminals, Know-Your-Customer (KYC) processes and educating staff, unfortunately do come with a cost. Many of the millions of customers of Juul have taken to Reddit and other forums to protest the huge increases in the cost that comes with the FDAs new rules. Customers are reporting are 20–40% increase of Pod prices in retail stores especially. As supply chains and education costs level out, the cost will start to level out but never to pre-regulation era. Technology companies are constantly innovating to make identities portable and bring cheaper initial on-boards. For this market, the need of the customer is to go to Speedway, Sheetz and other gas stations without having to give their ID every time. Portability is even more important online, as it will allow the customers to price-shop and bring their already registered and approved identity for purchase. Luckily, technologists see this as a hot topic due to their love of the product and are confident the process and prices will come down.